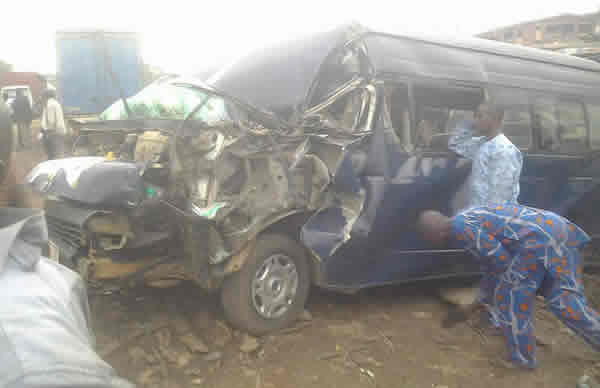 Home » » Driver allegedly dozes off, narrowly escapes death in harrowing accident. Driver allegedly dozes off, narrowly escapes death in harrowing accident. 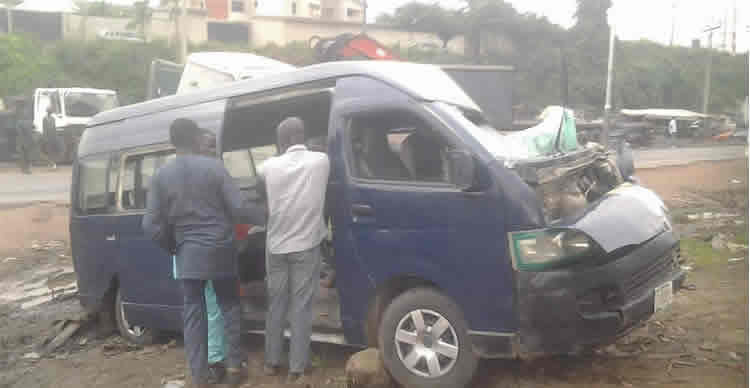 An accident occurred on Friday evening in Ojoo area of Ibadan, Oyo State, completely wrecking the vehicle involved, though the driver and passengers narrowly escaped death. The travelers were said to be returning to Lagos from a burial ceremony. As posted on Facebook by the eyewitness, Aloma Olamilekan Yusuf: “This is just happening at Ojoo area in Ibadan. The driver slept off while driving at a high speed, he ran on to a parked trailer which did not even feel the hit but imagine the level of damage on the bus. “The bus and everyone inside are coming back to Lagos from a burial programme, may God heal those injured and thank God no one died.